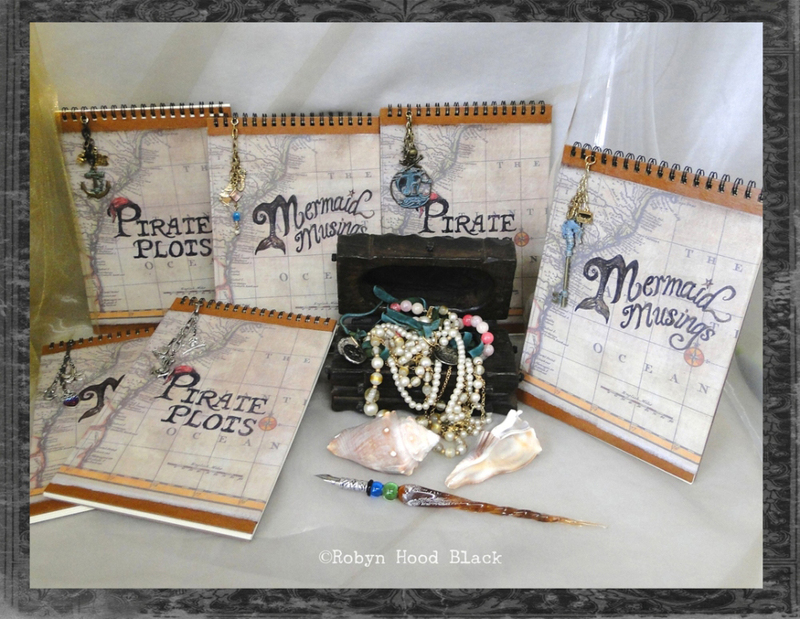 Upcycled journal/sketchbooks for your favorite creative pirates and mermaids! These 6X8+-inch blank books feature room for sketches, poems, and directions to treasure – buried on land or at sea. The covers are collaged with a copy of a c. 1745 map of the Carolinas coast, and graced with fun charms dangling from vintage clock chain. Inside each back cover is a vintage library card and pocket, with “Private” stamped from an old office stamp. The paper is acid-free Strathmore 400 drawing paper, 24 pages. Click on the picture to sail over to my Etsy shop, or visit my downtown Beaufort studio or The Beaufort Emporium on Bay Street!